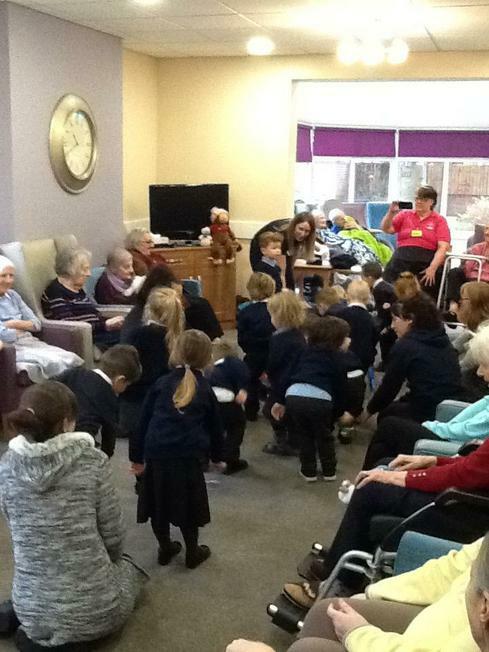 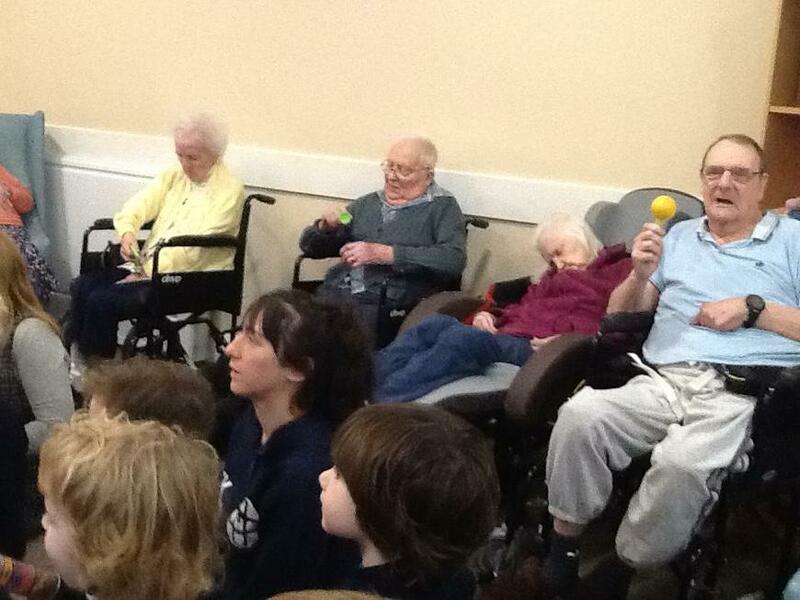 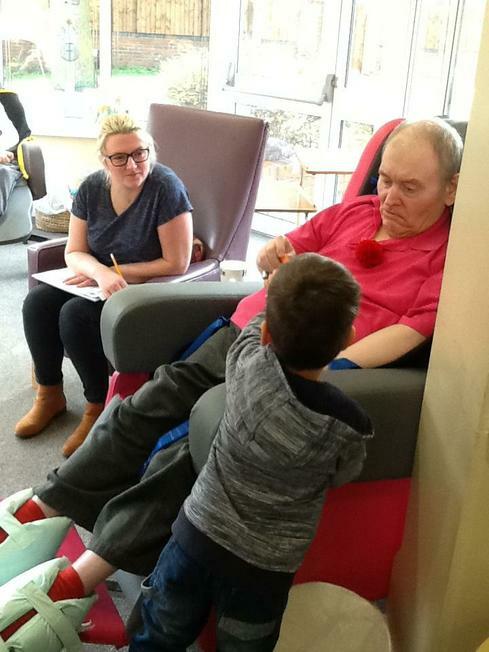 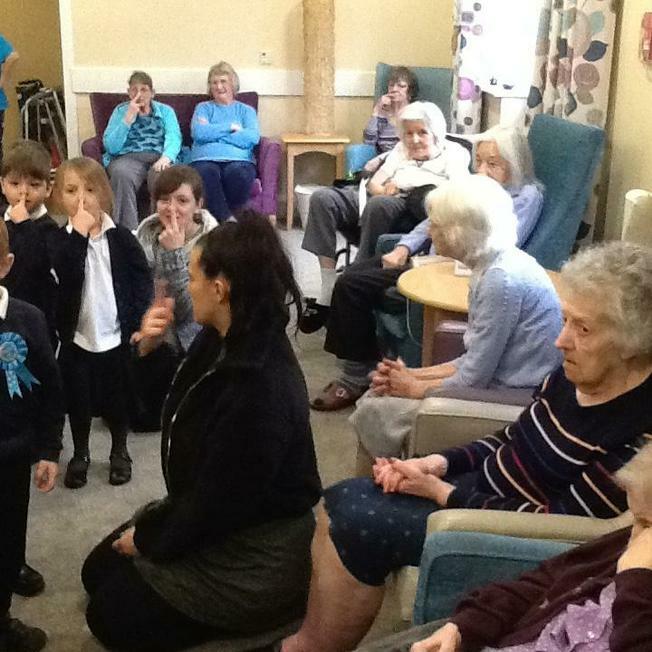 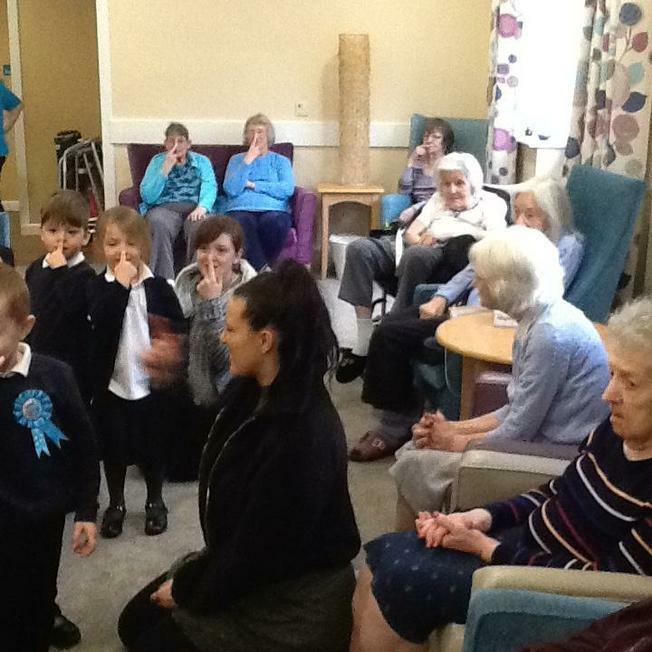 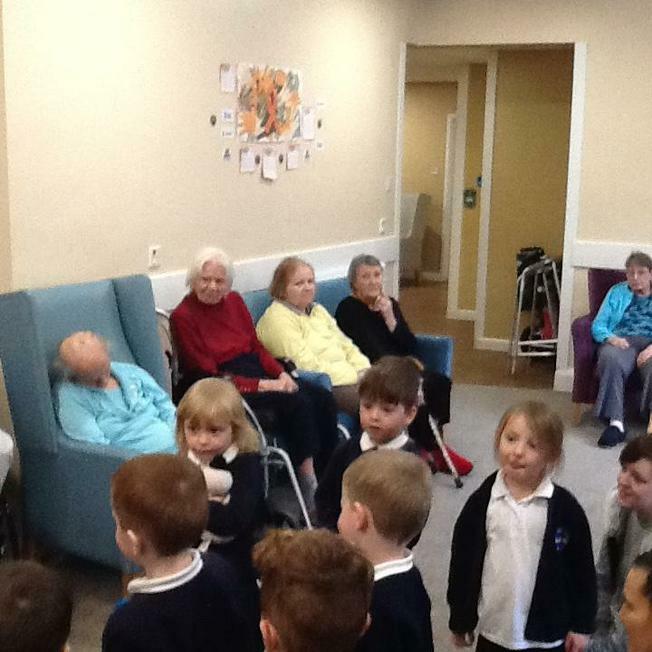 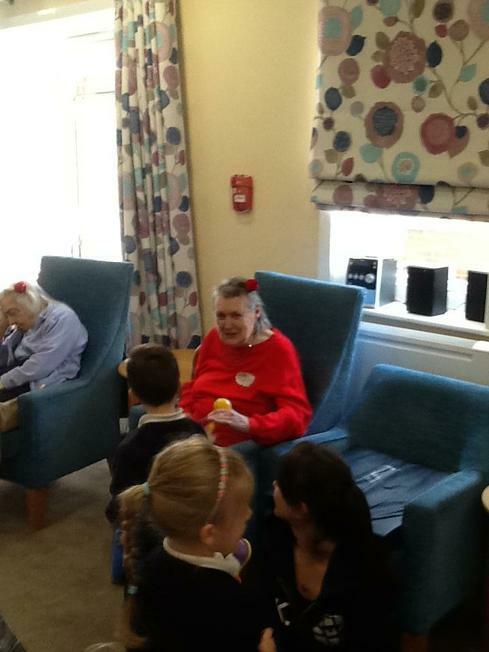 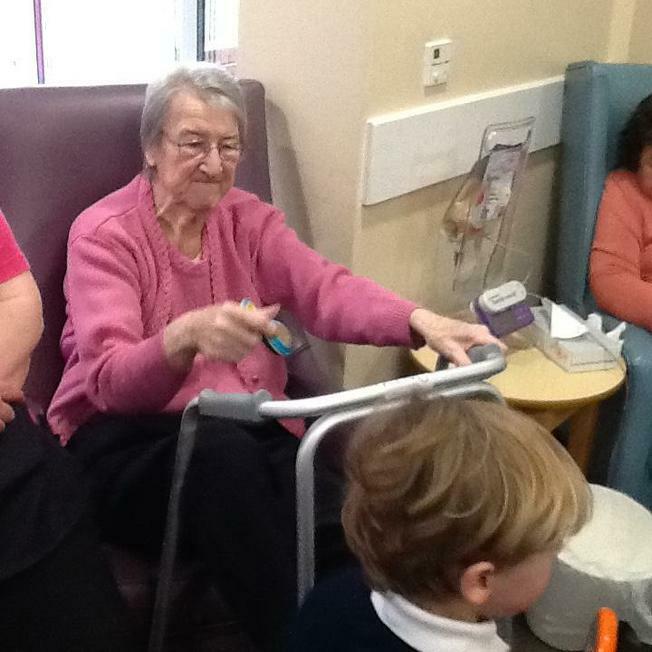 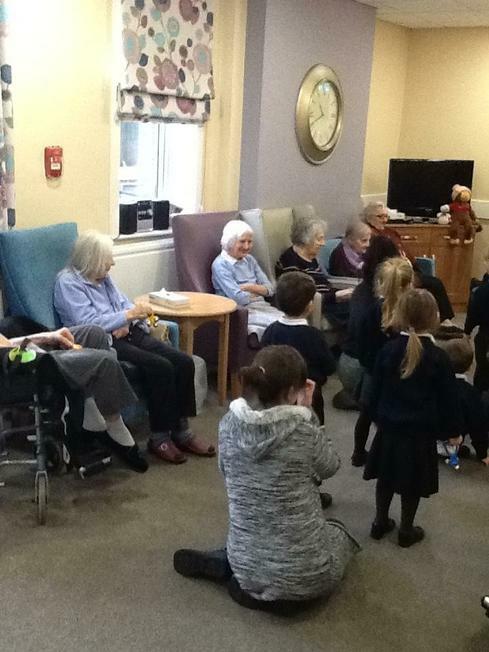 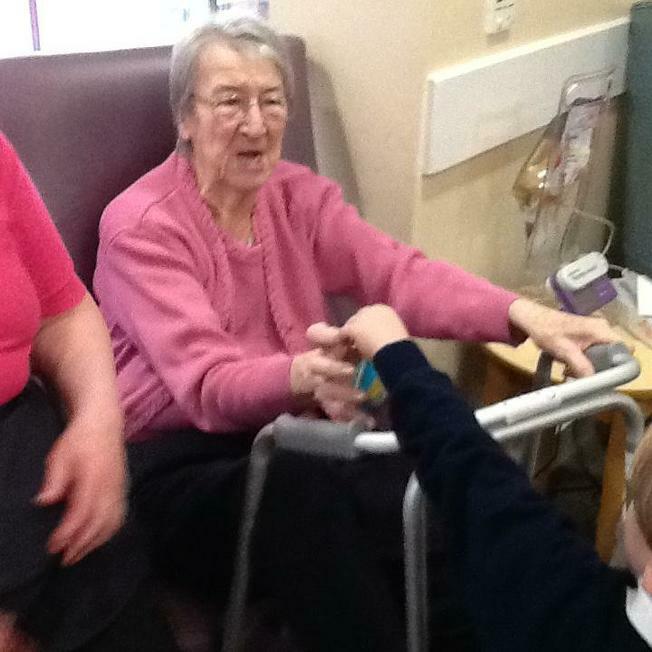 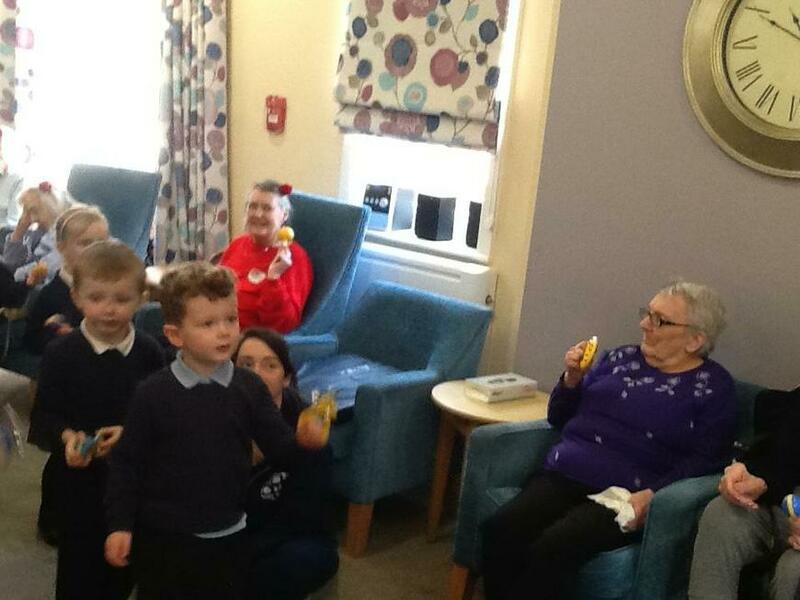 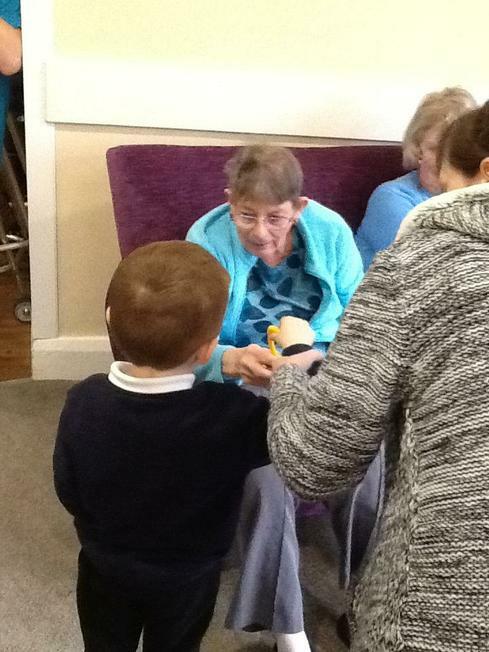 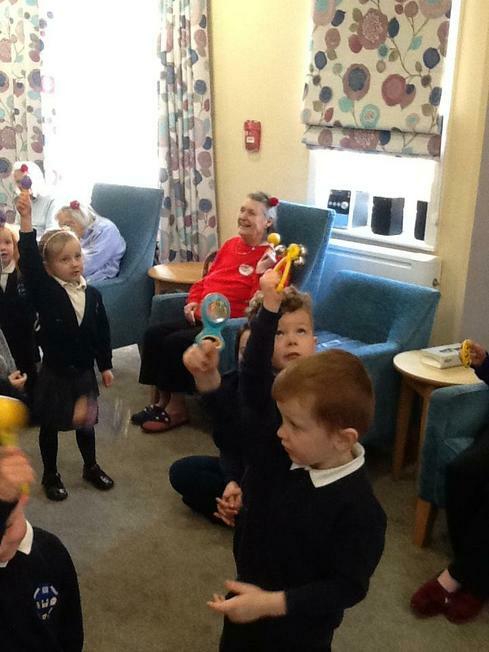 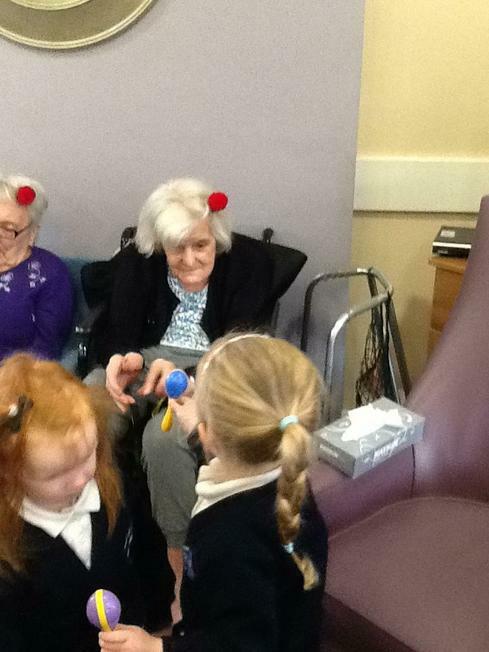 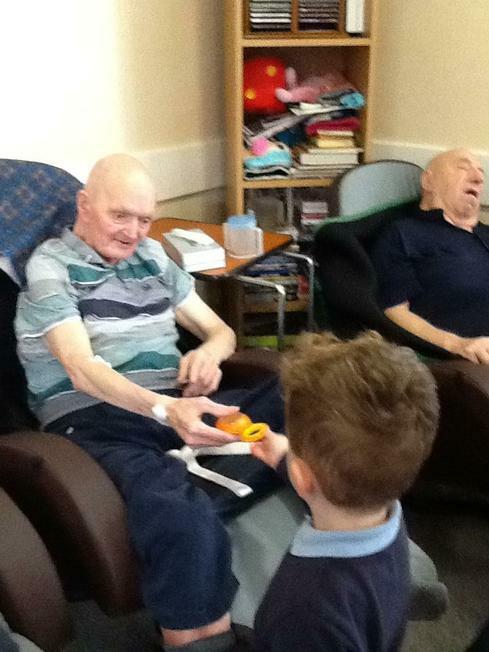 We have been lucky enough to have the opportunity to join the residents of The Firs Nursing Home with their Boogie Beats sessions. 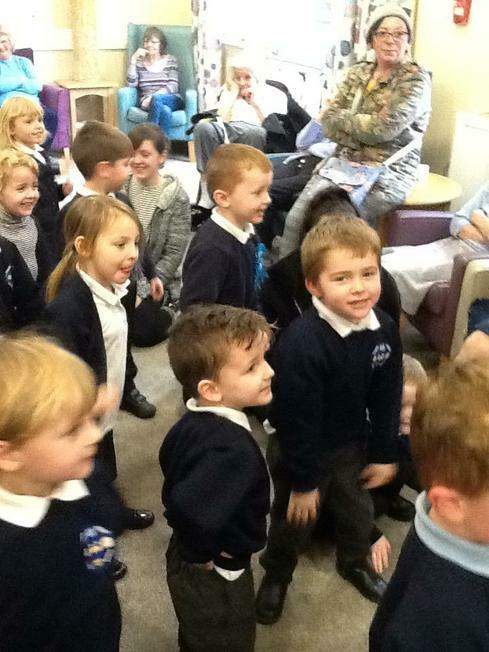 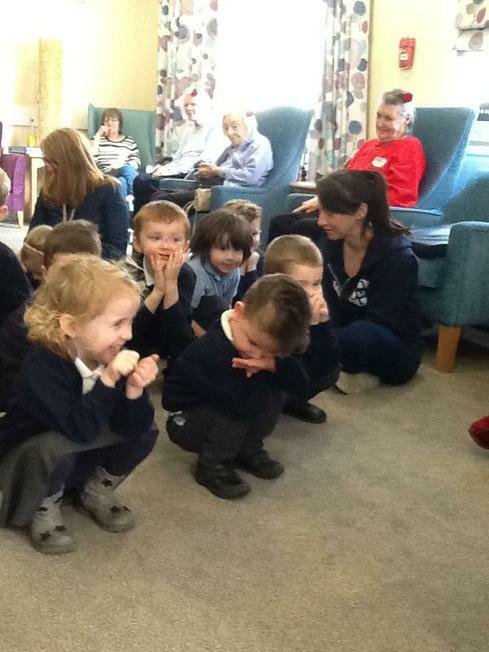 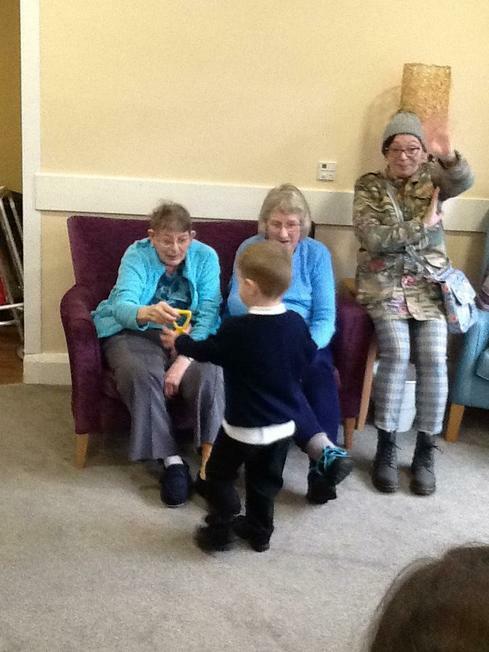 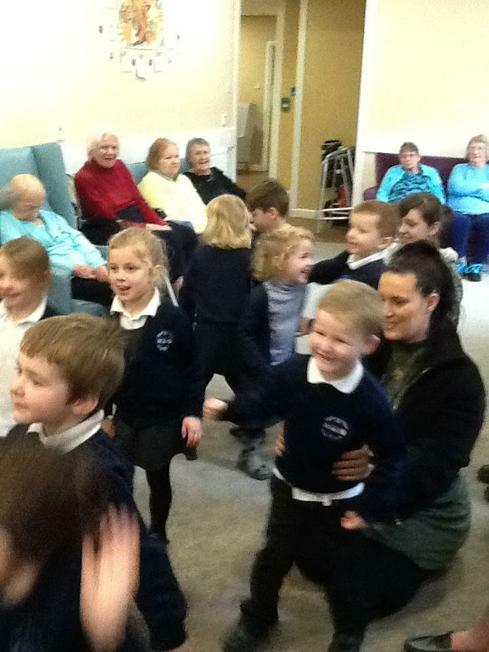 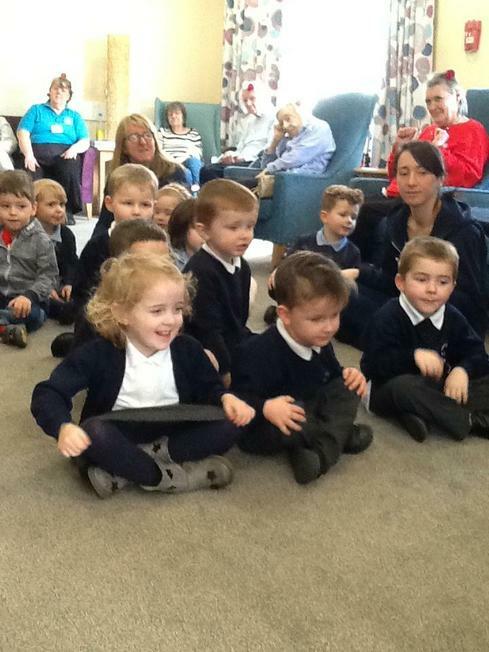 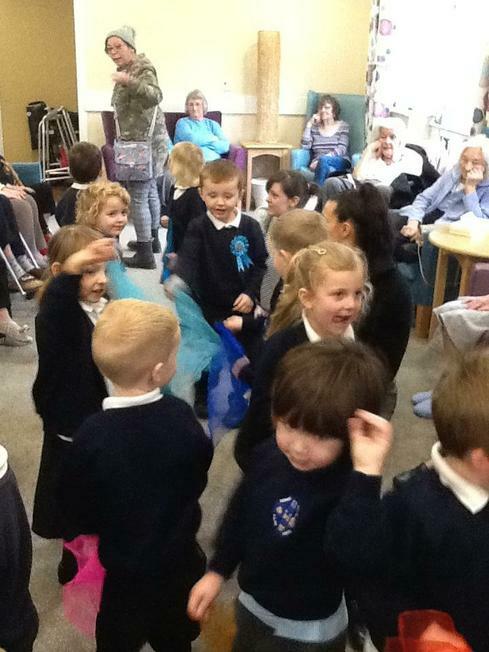 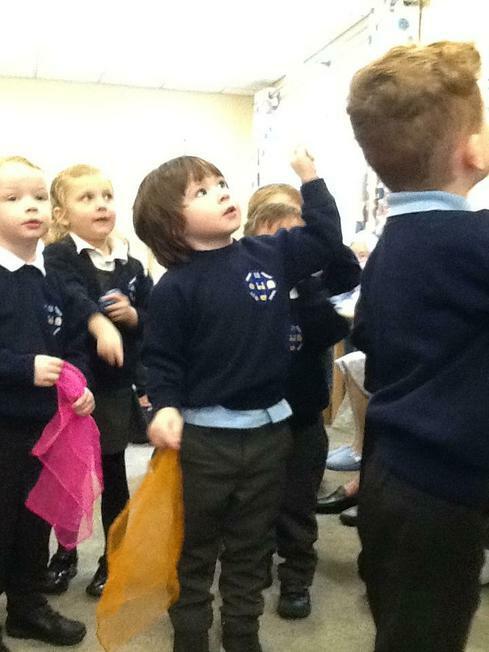 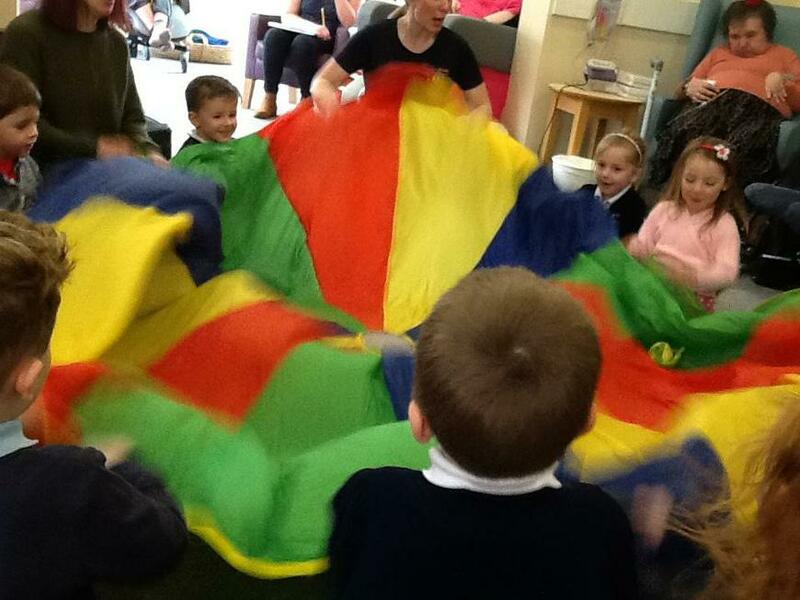 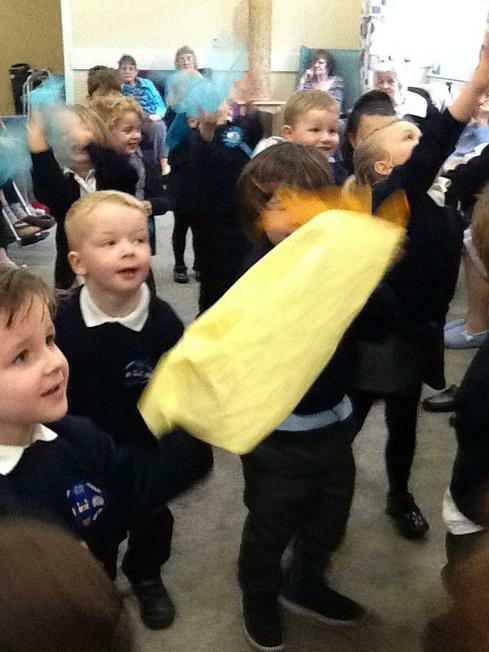 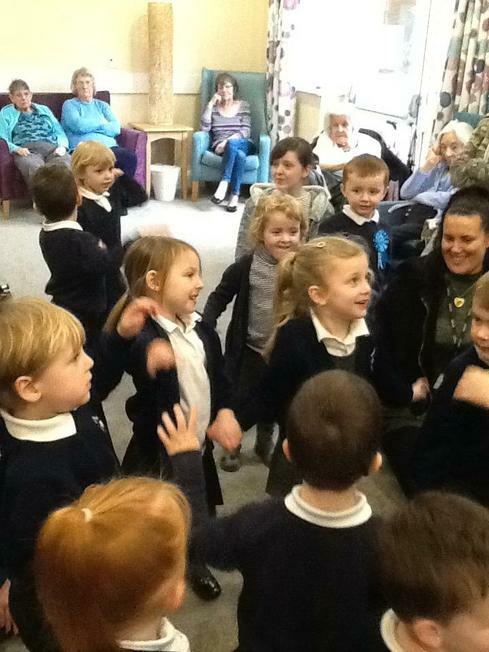 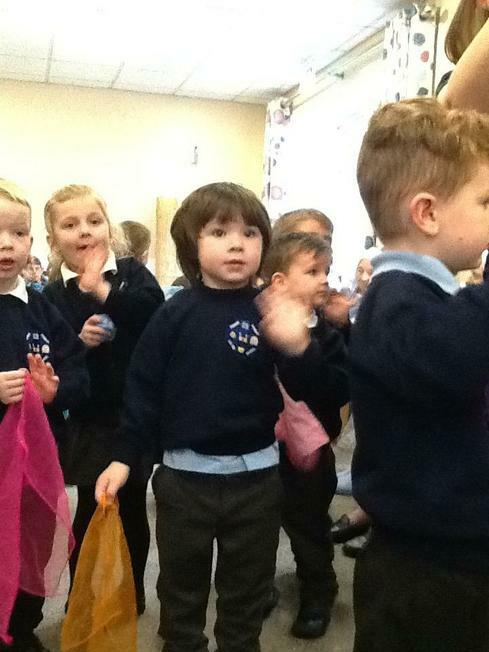 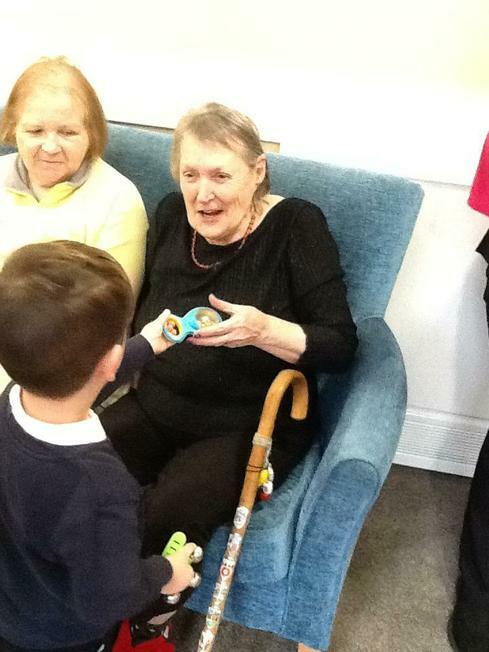 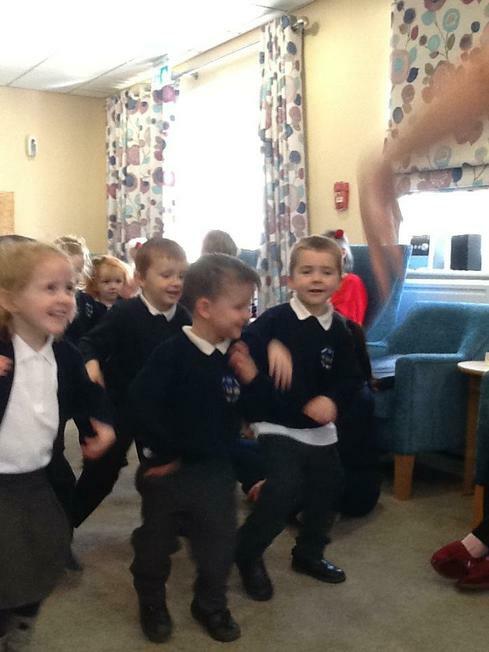 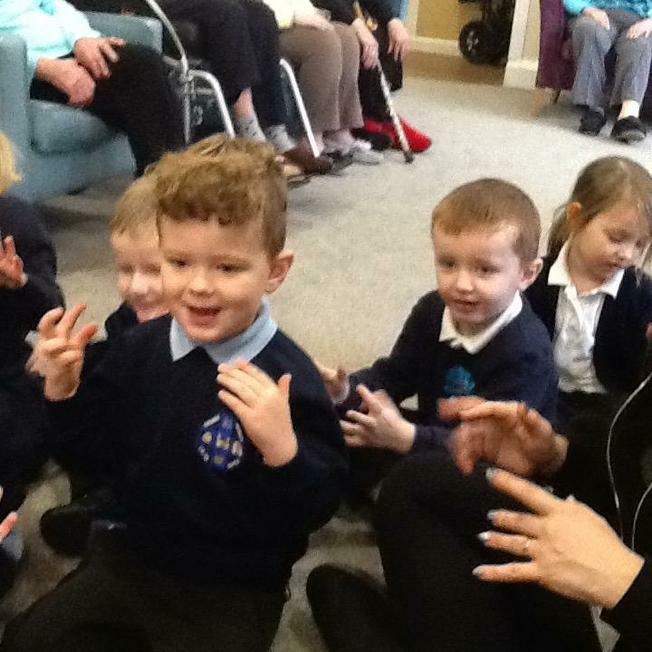 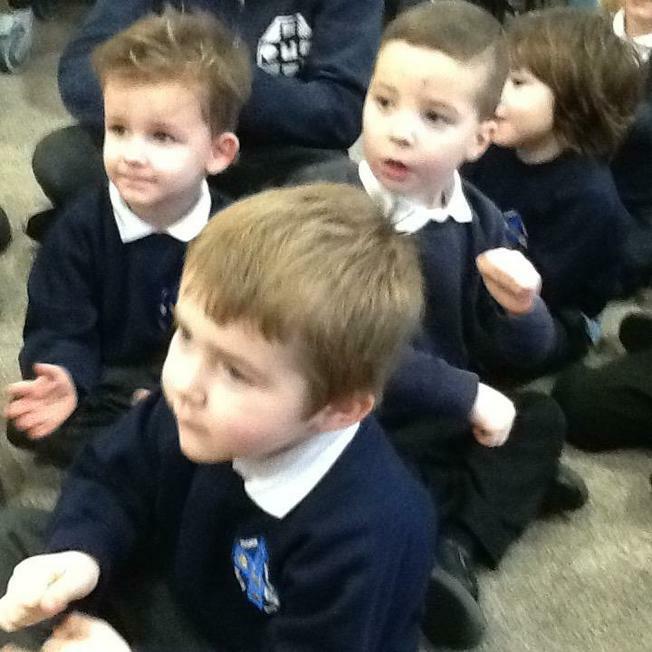 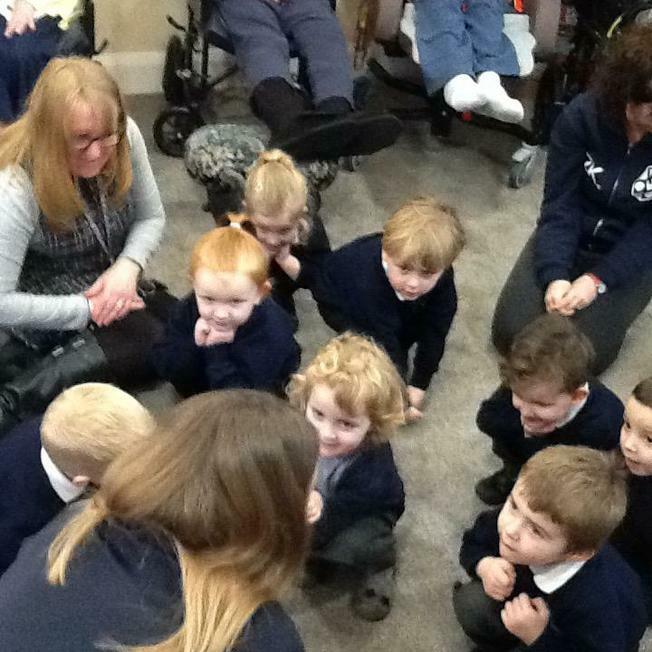 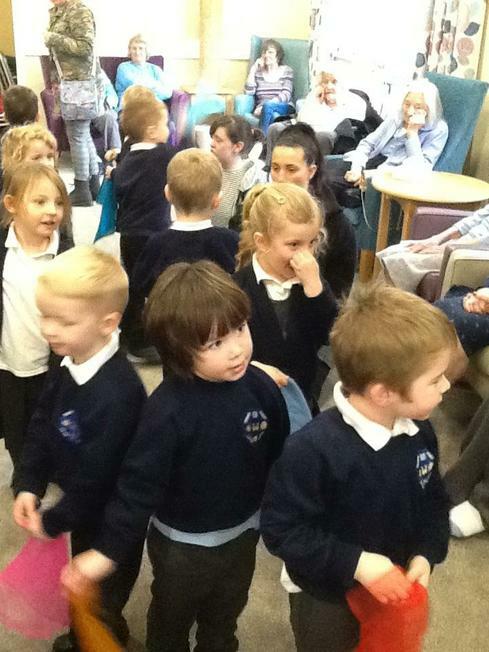 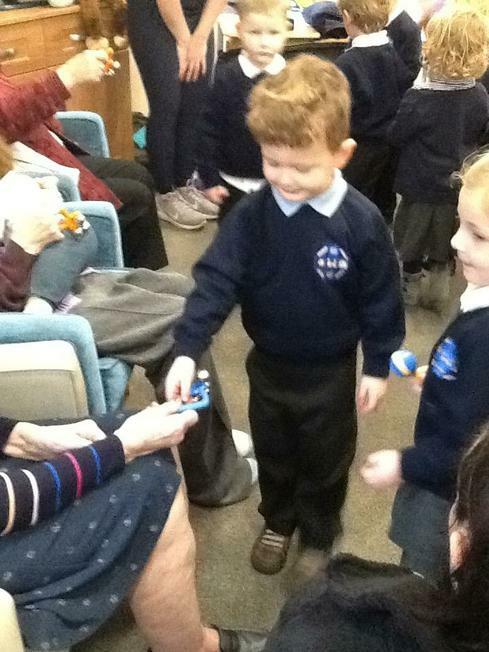 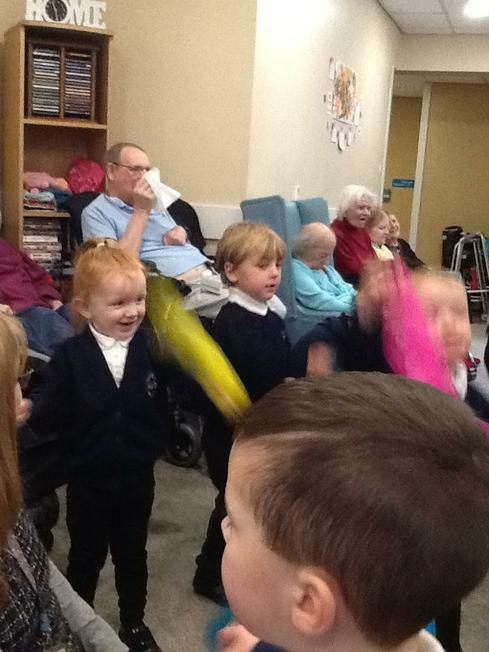 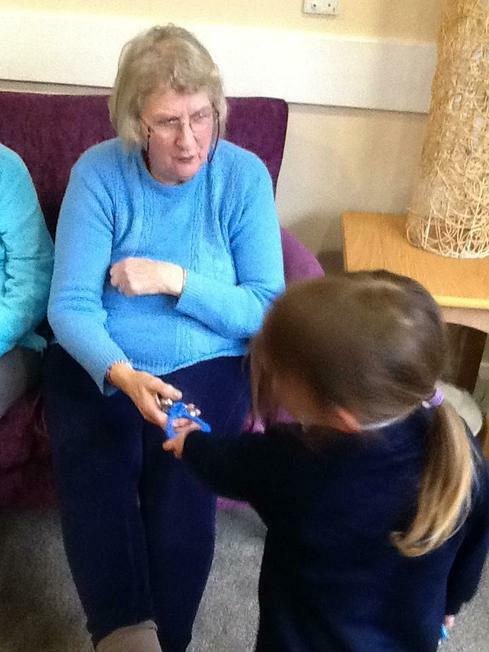 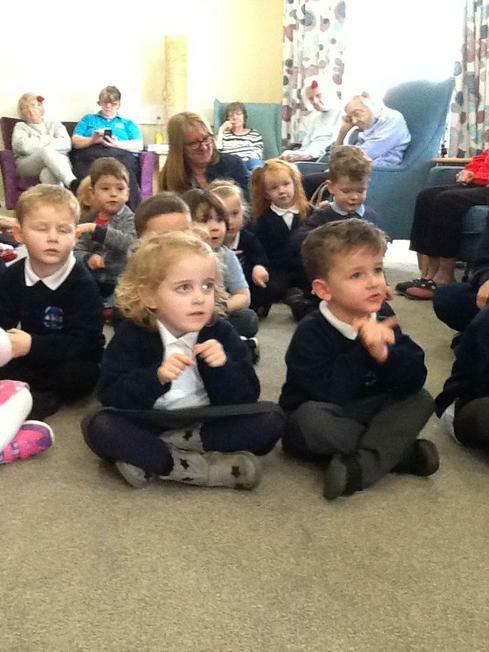 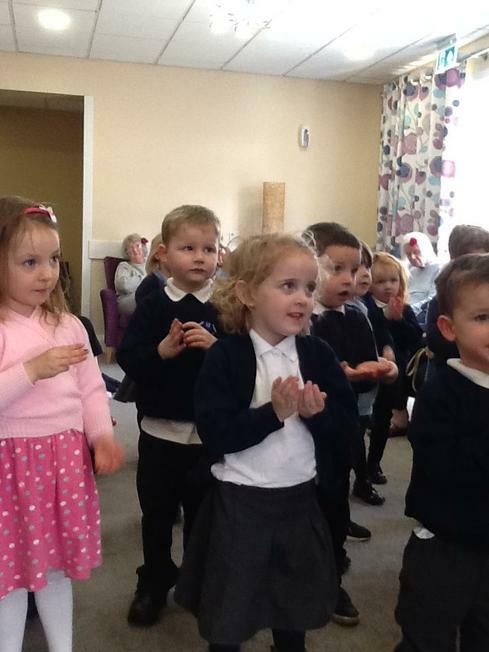 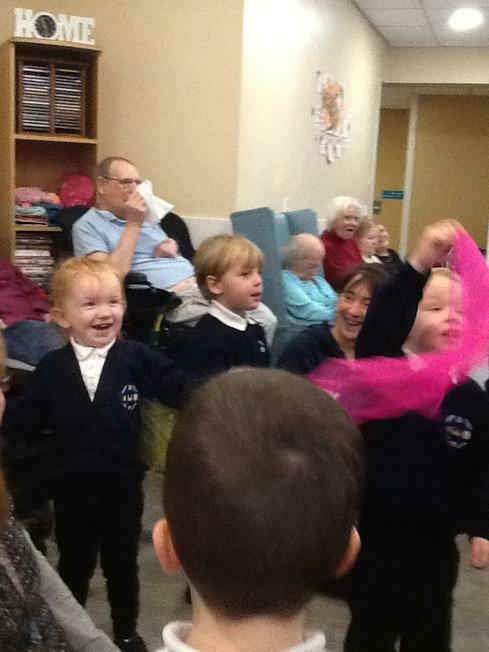 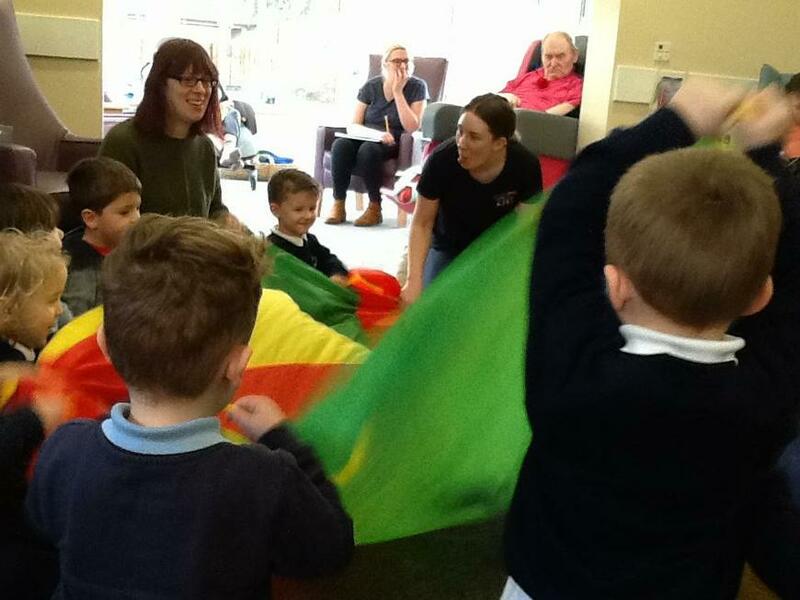 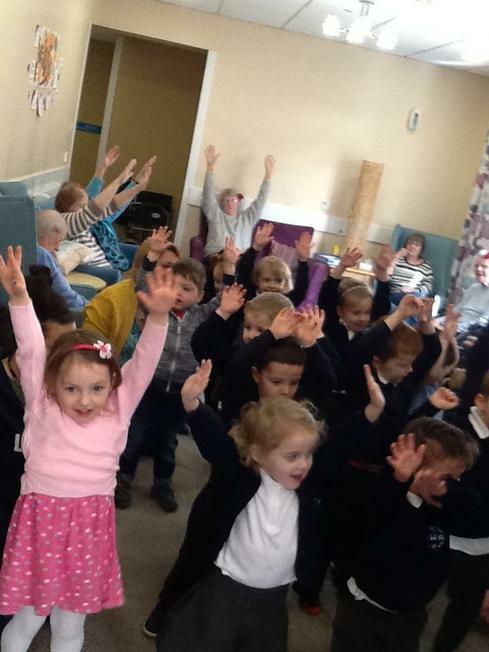 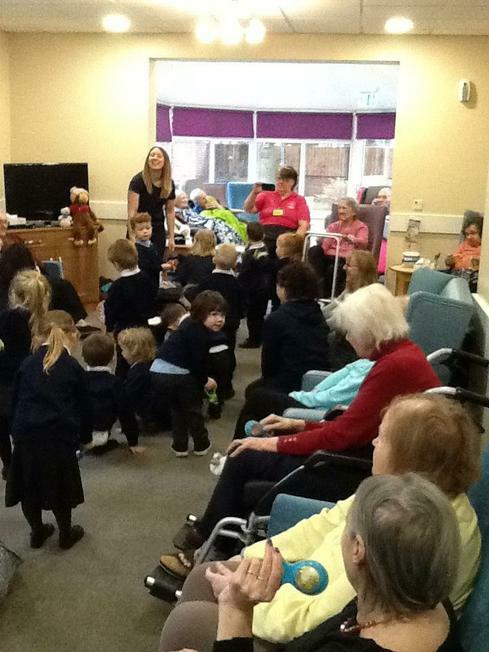 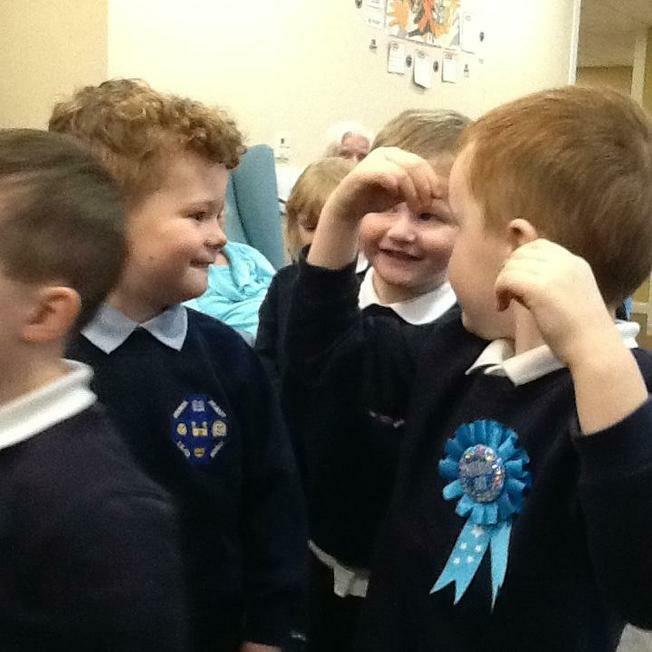 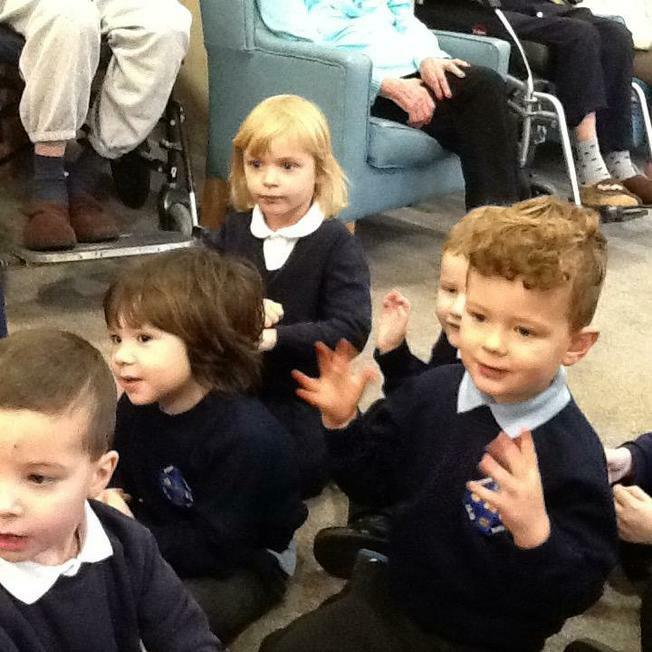 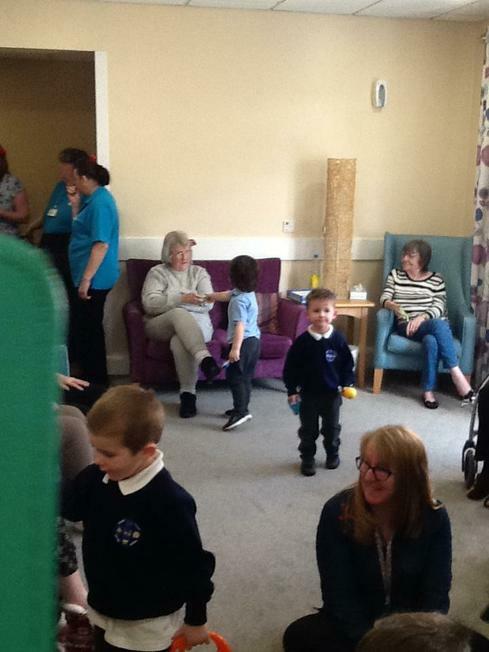 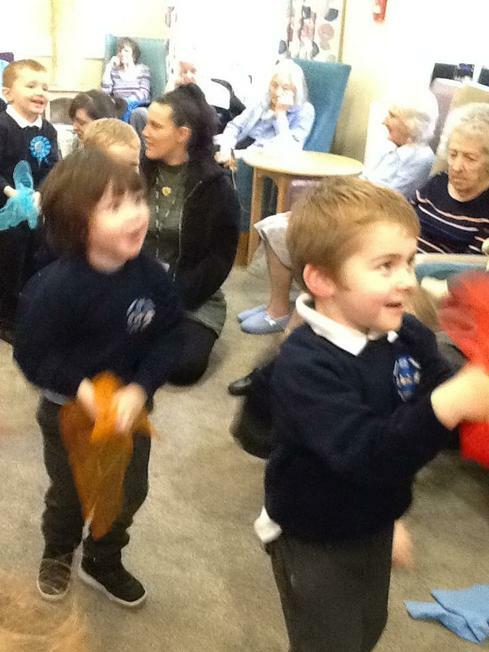 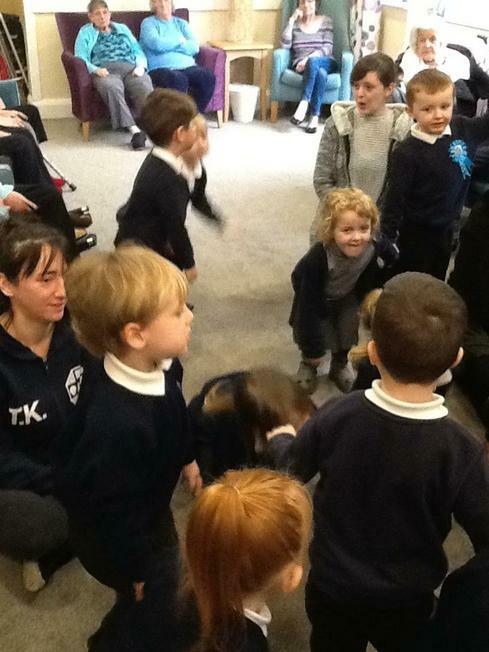 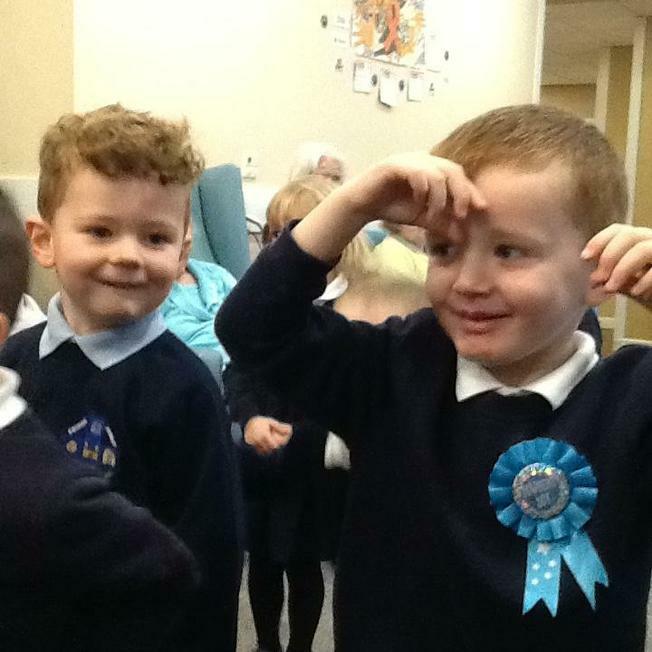 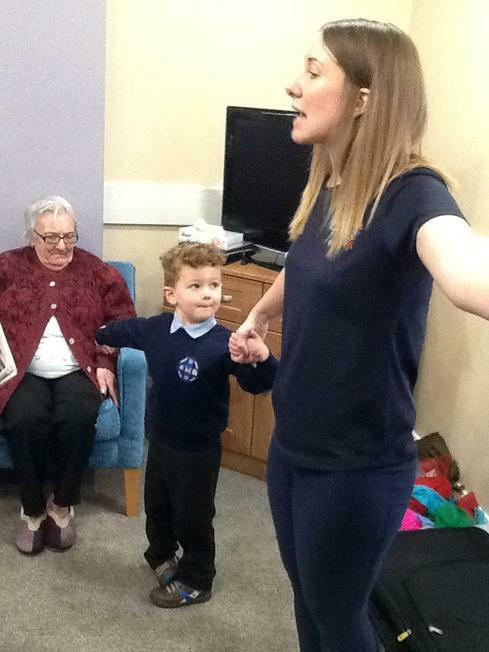 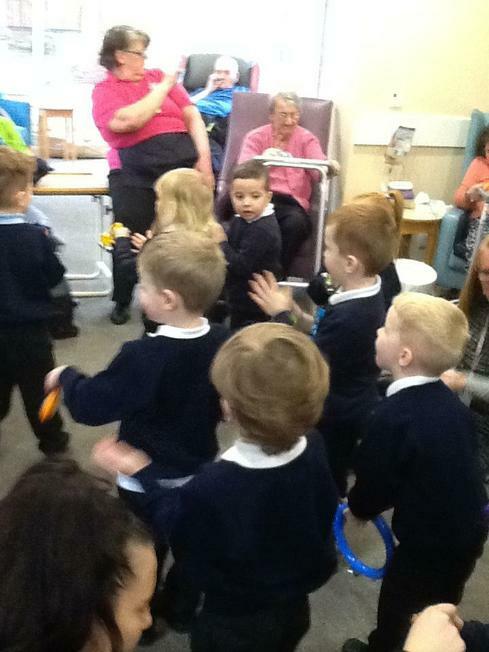 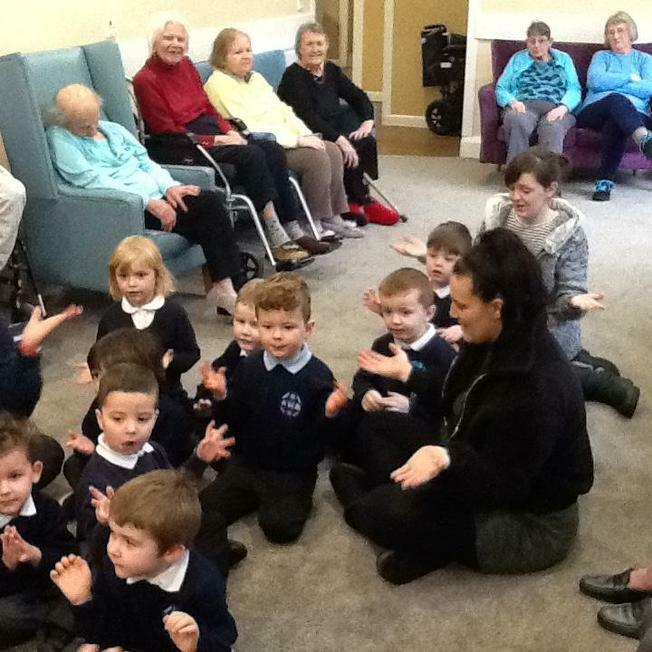 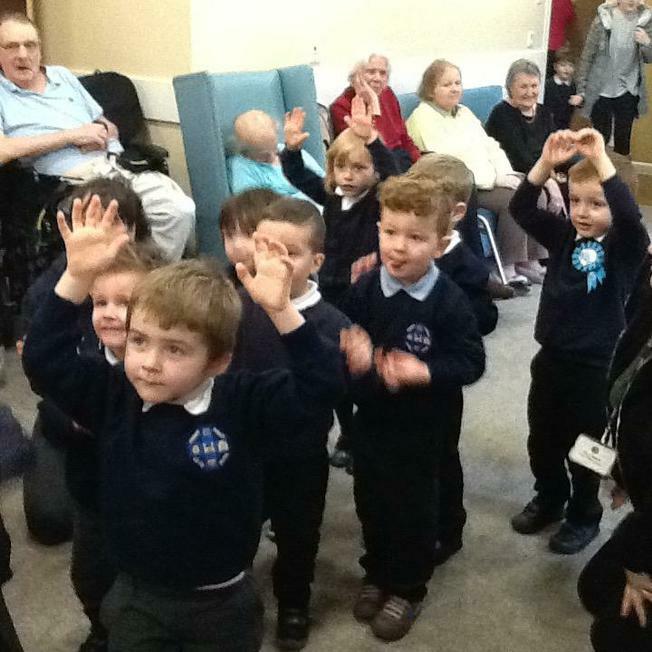 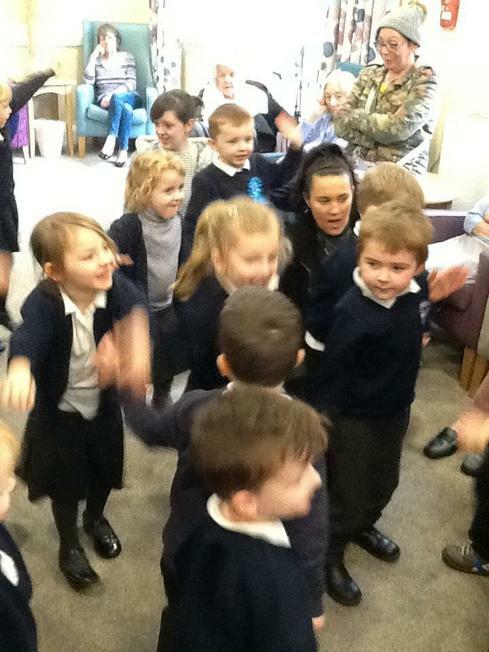 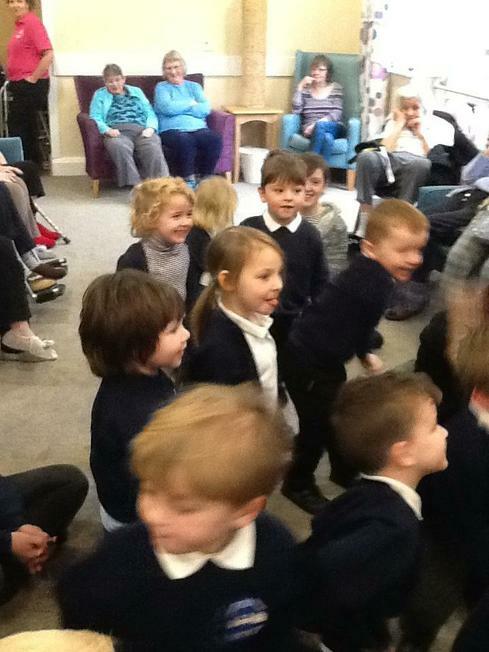 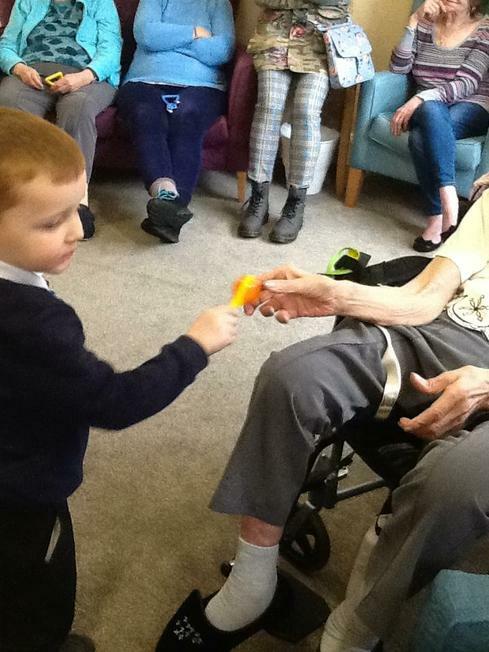 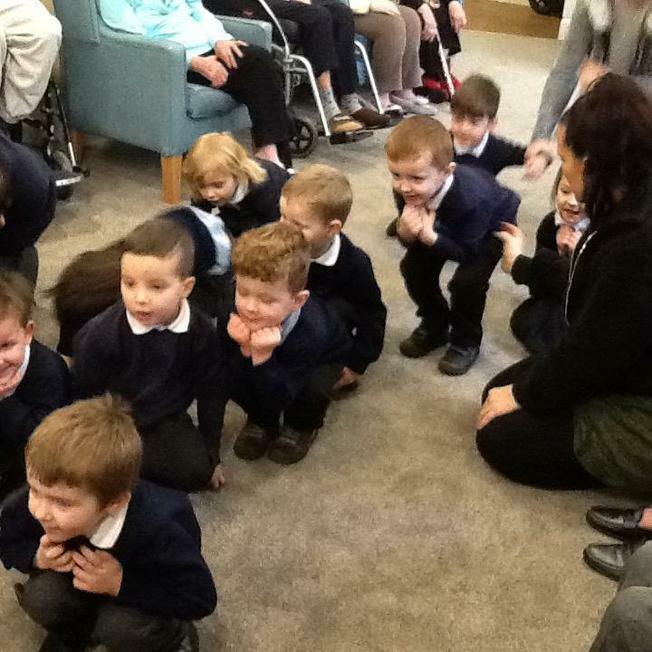 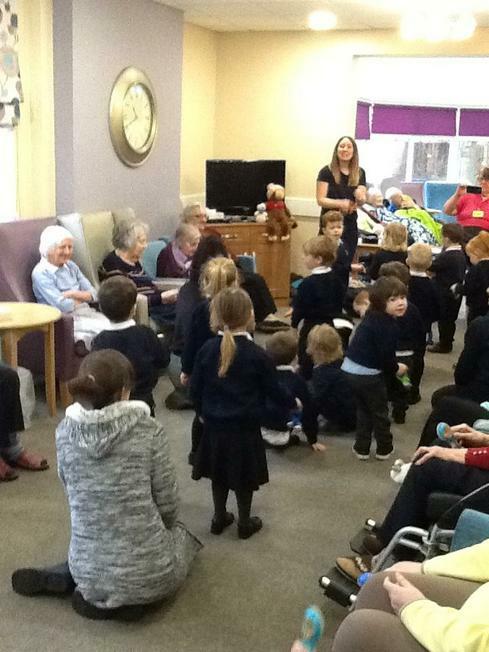 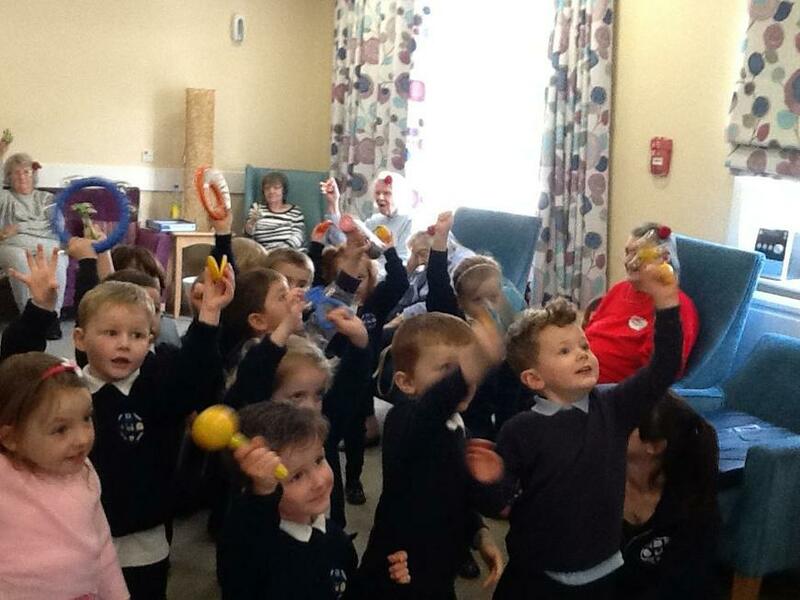 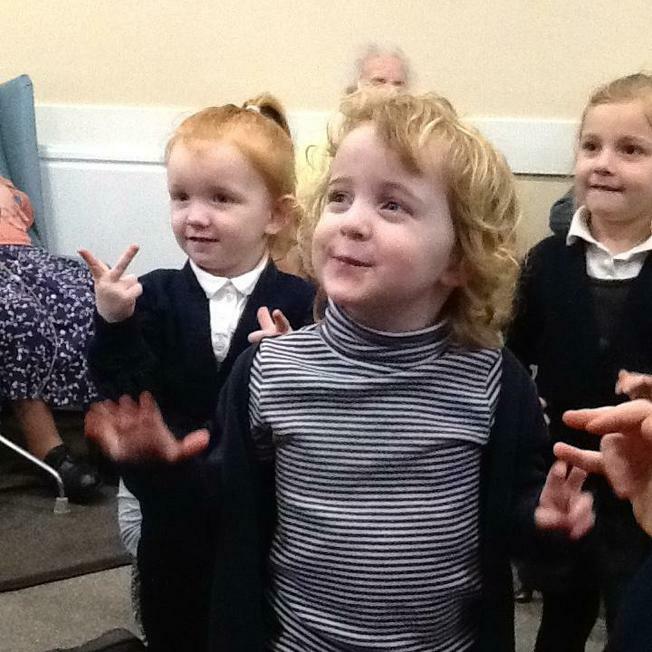 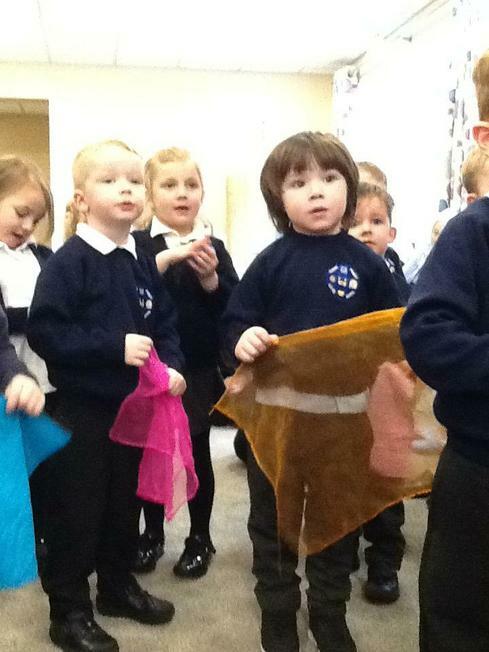 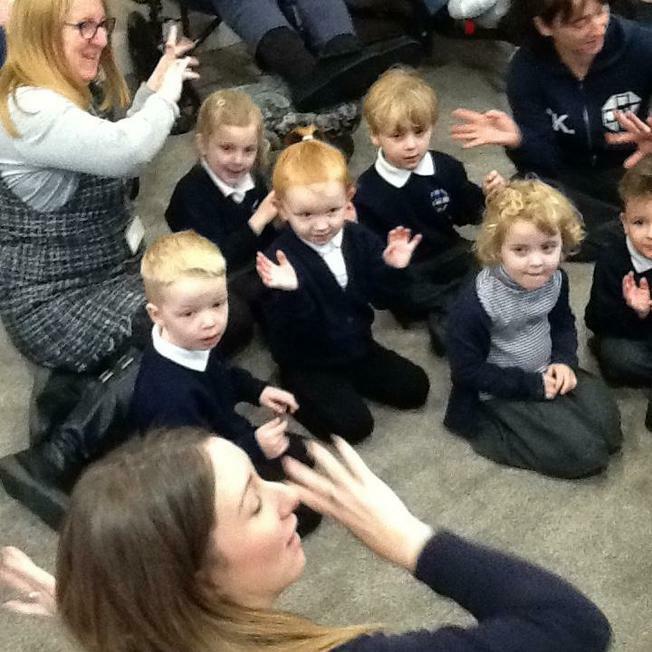 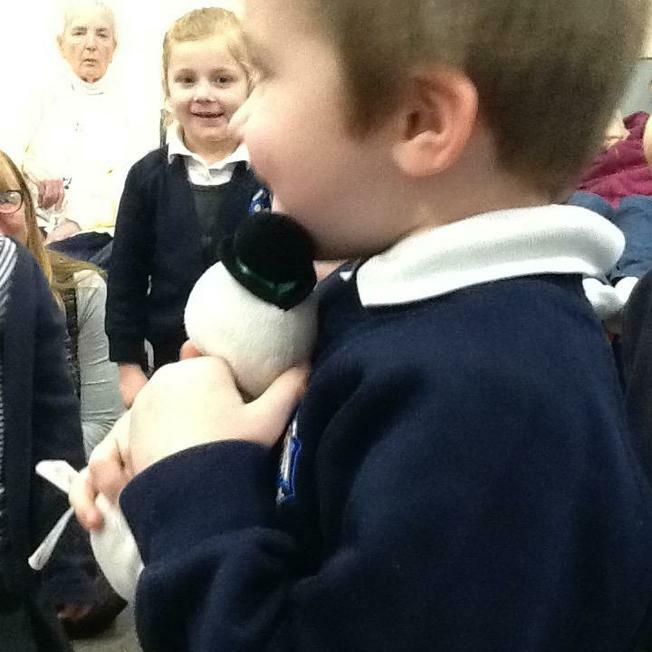 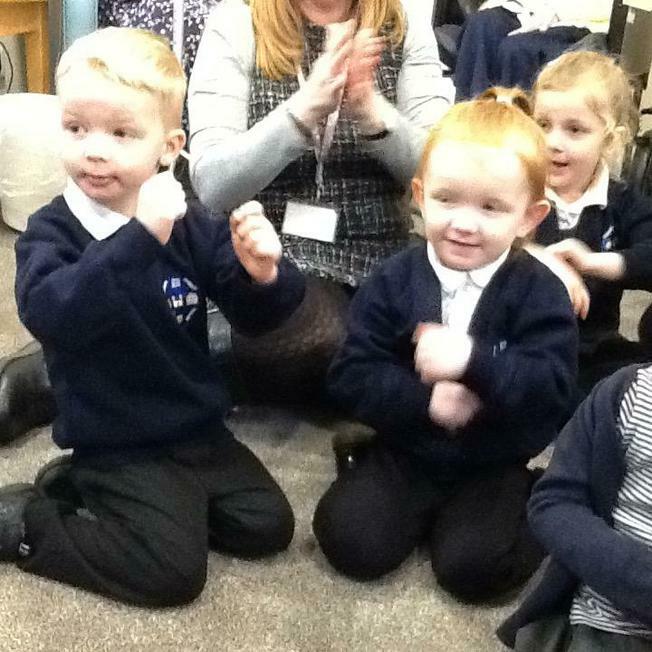 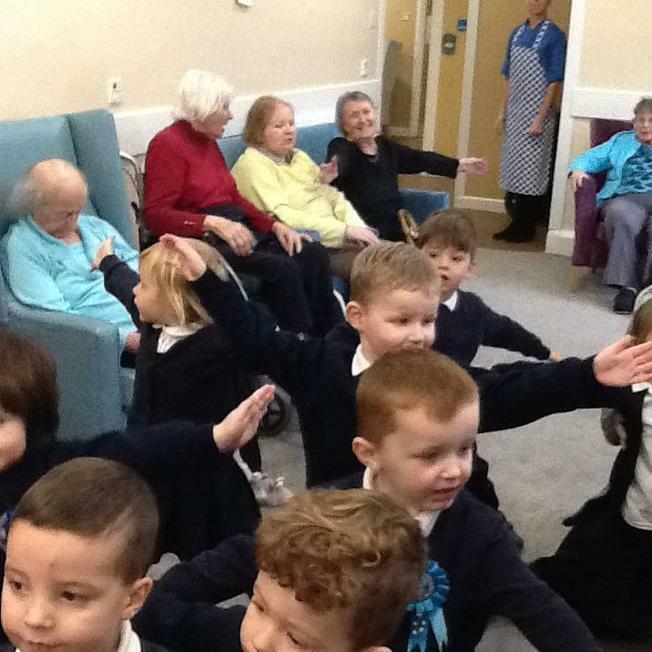 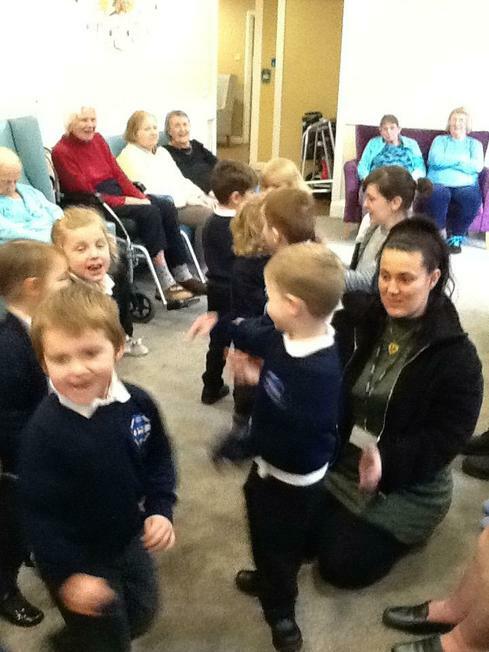 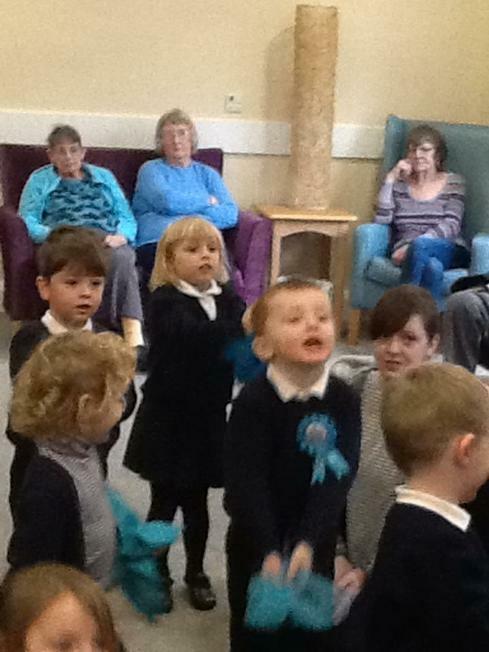 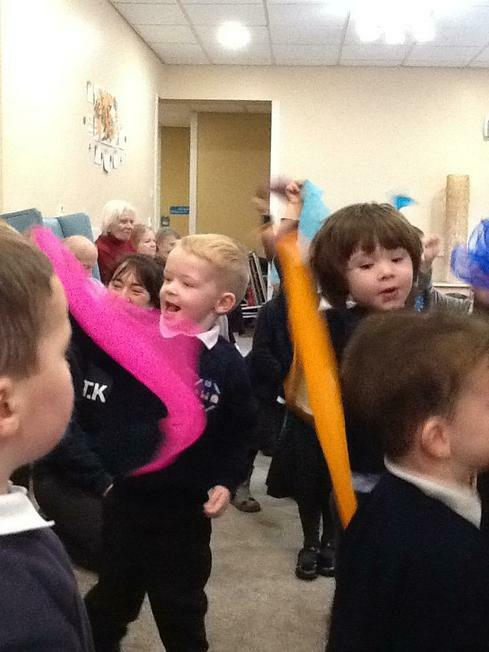 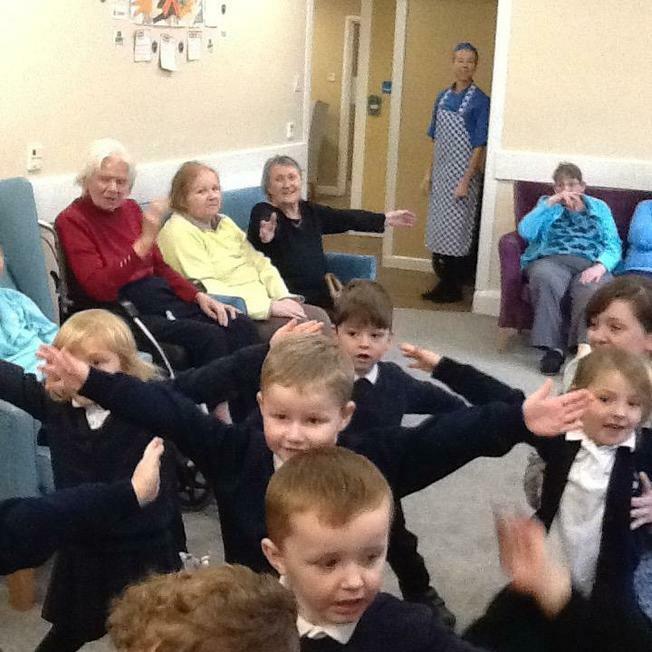 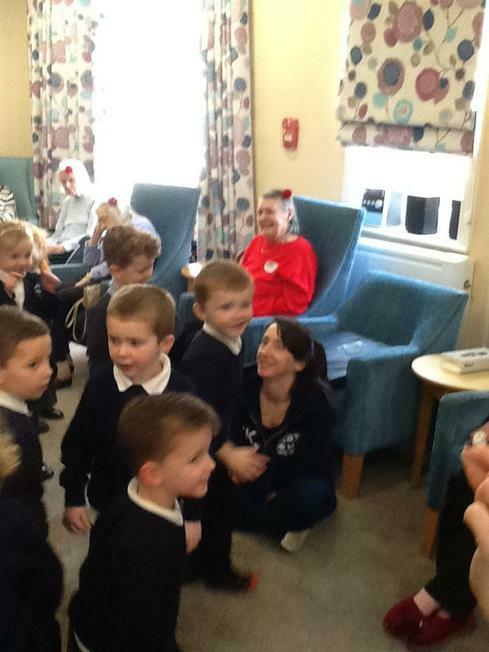 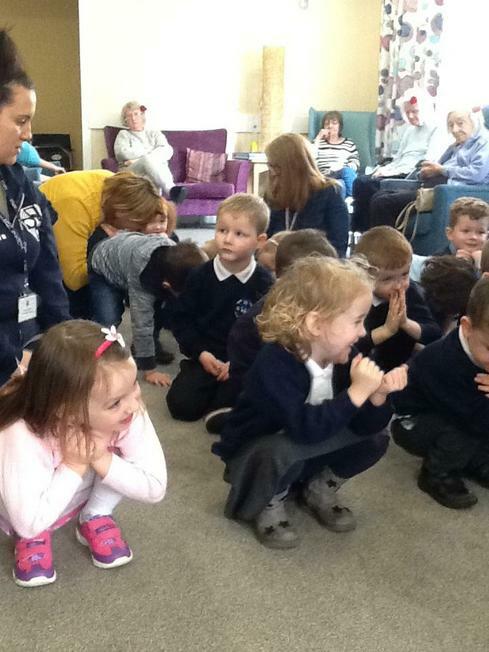 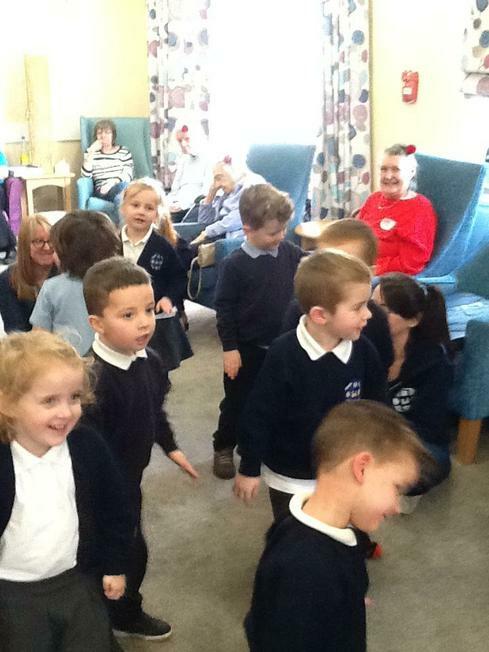 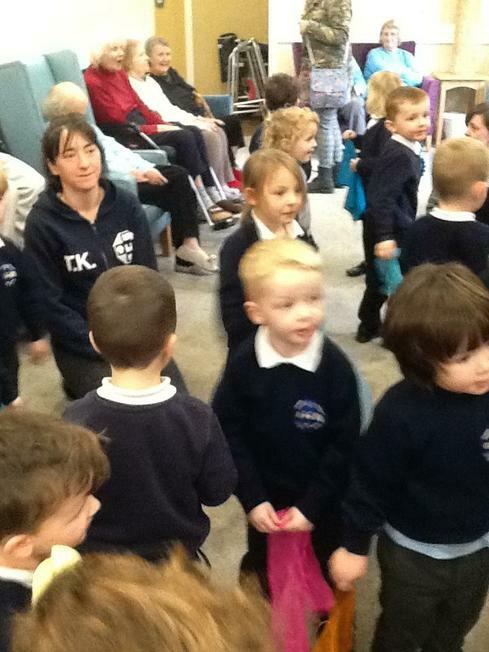 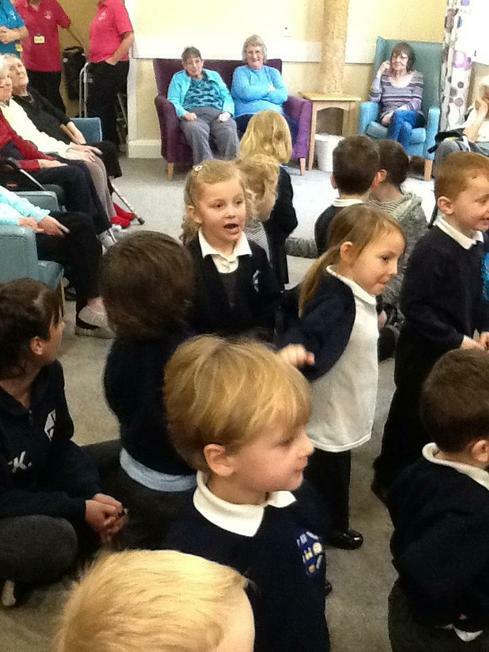 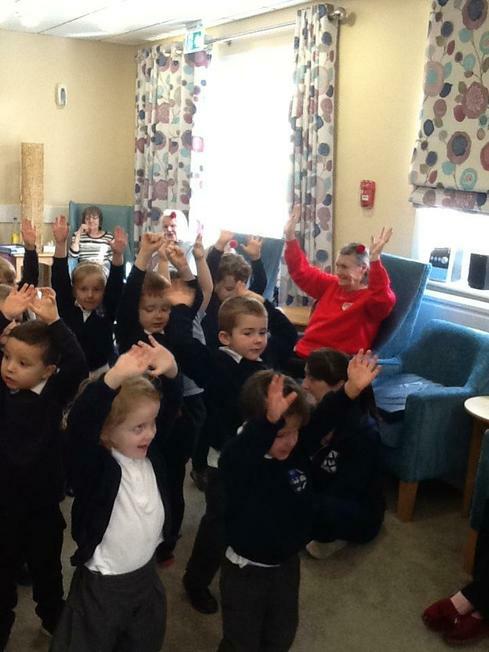 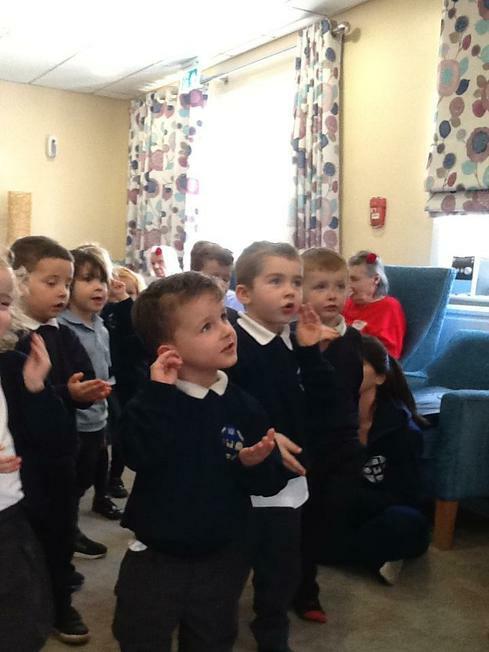 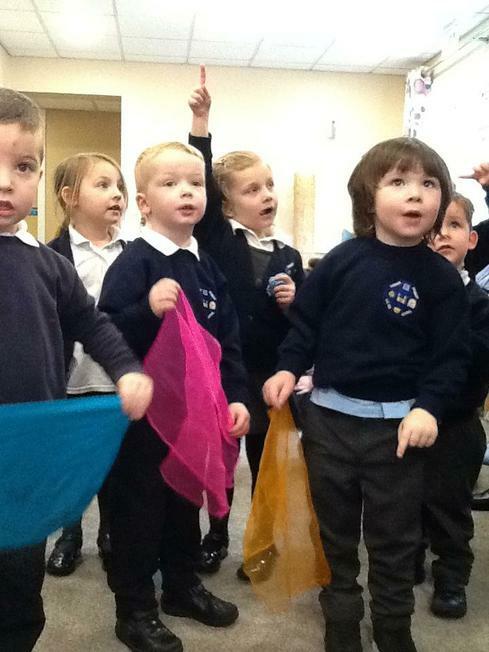 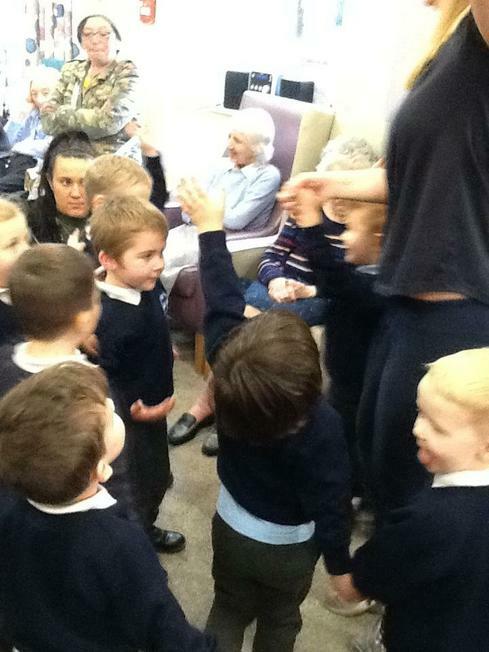 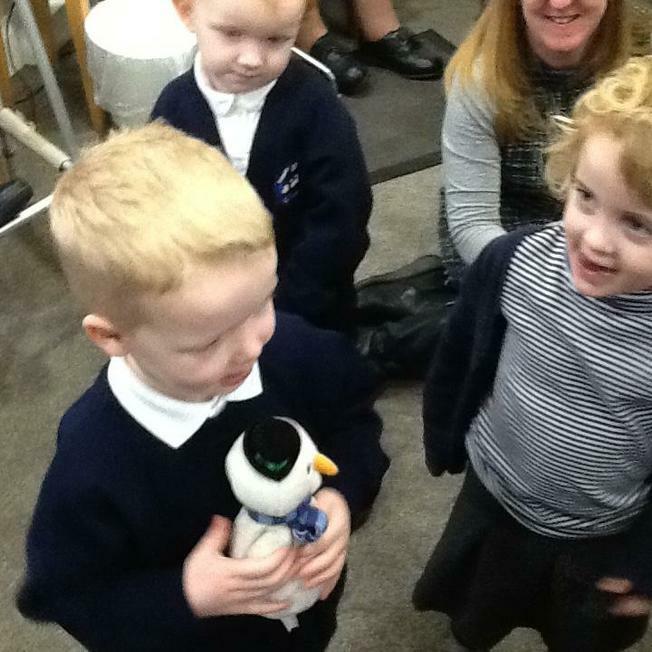 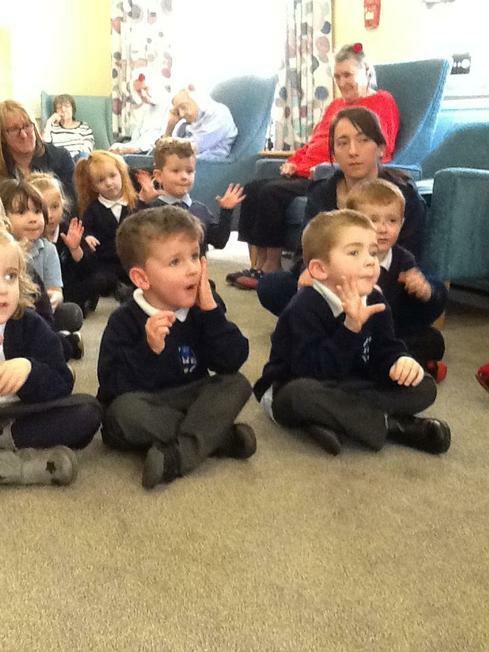 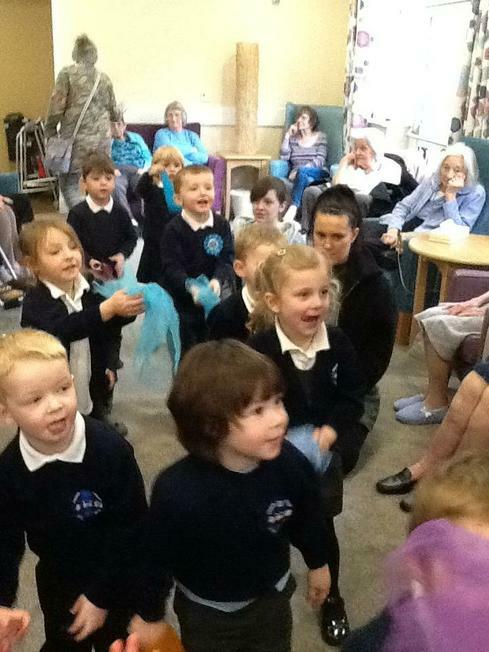 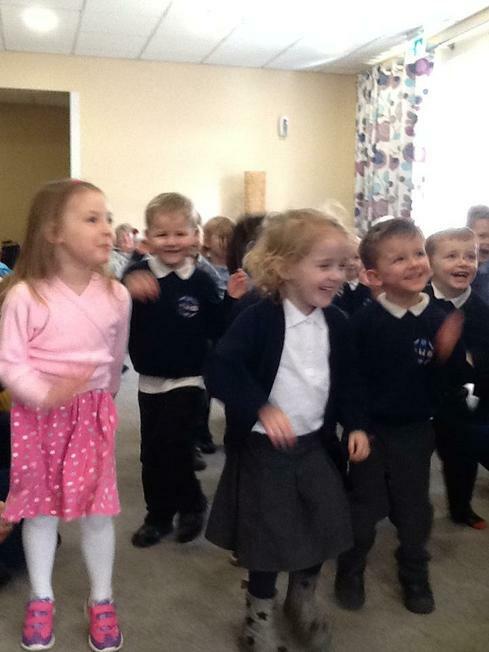 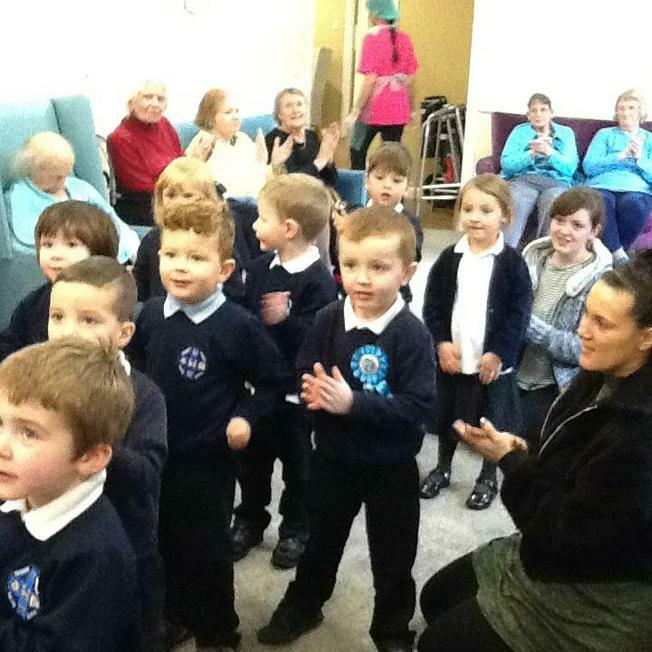 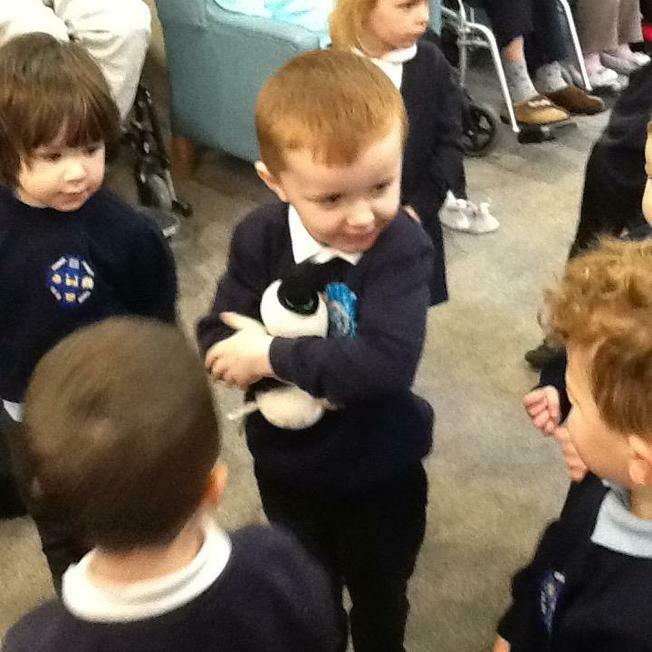 These are fun sessions were we learn signs then retell stories through dance and music. 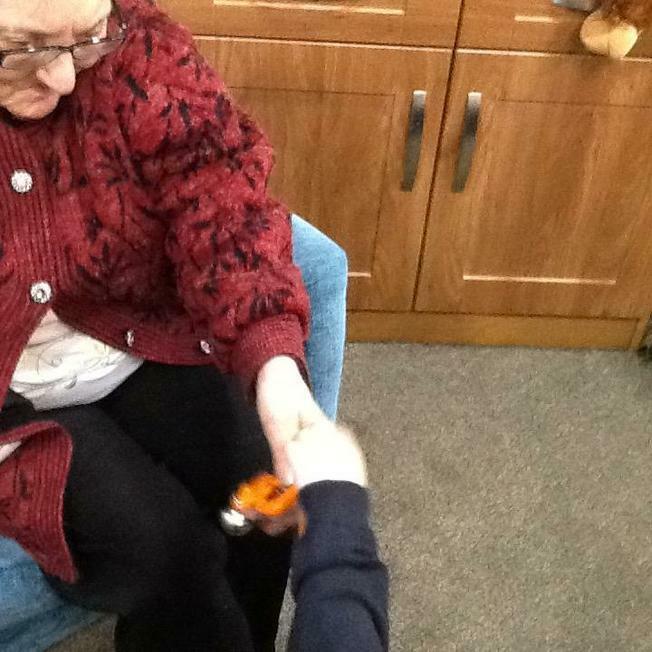 We help the residents to join in with the hand/arm movements and help Becky hand out/collect the instruments from the residents also. 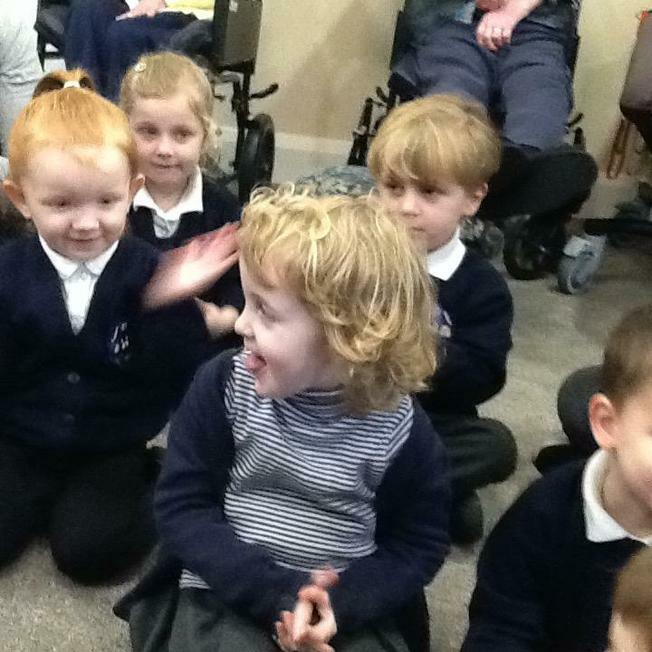 We loved our first session; everyone was so nice and friendly. 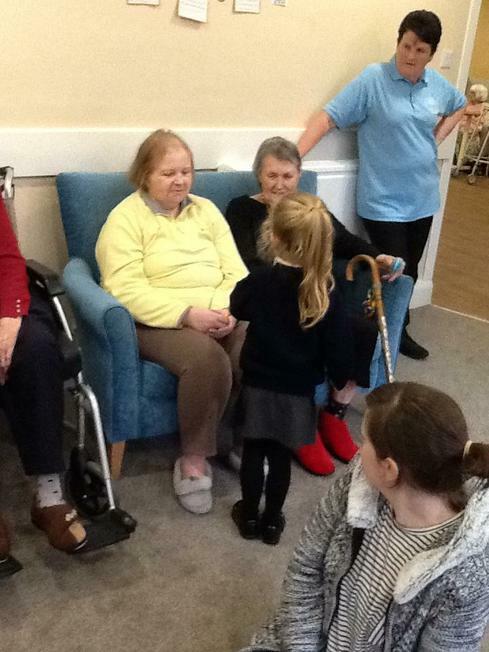 We will continue our links with the residents throughout the rest of the school year. 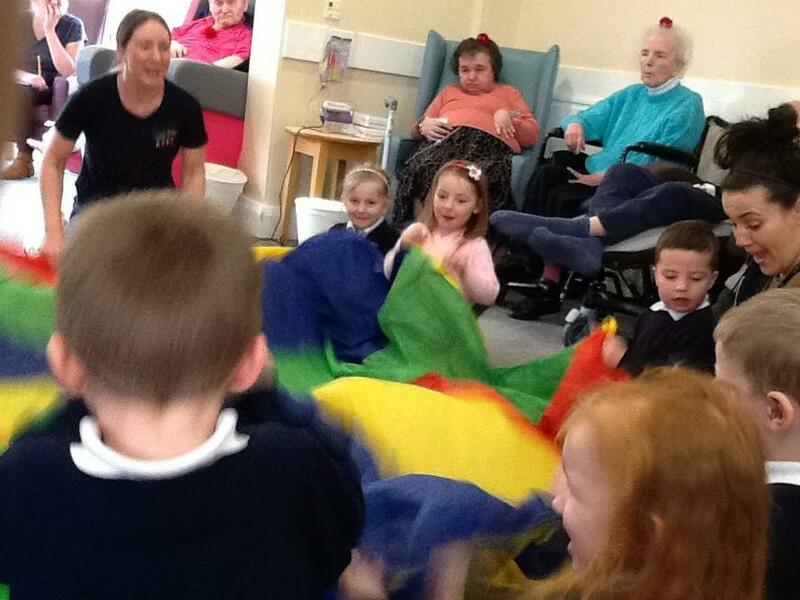 We enjoyed another fun filled session at Boogie Beats this morning. 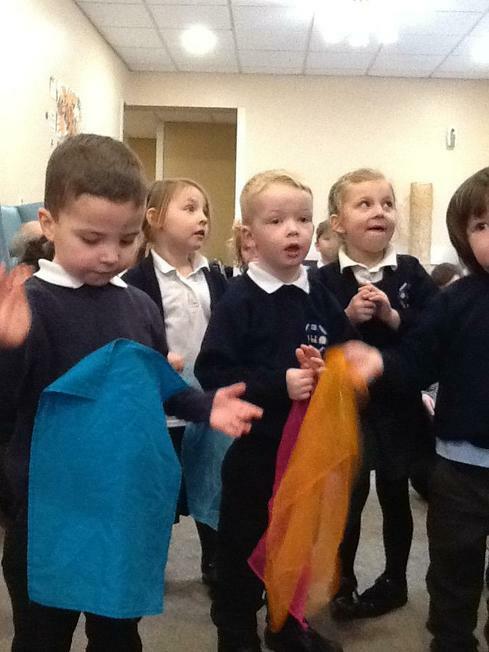 It was very windy on the walk down but we were very safe when crossing the road and held on tightly to our partners hand! 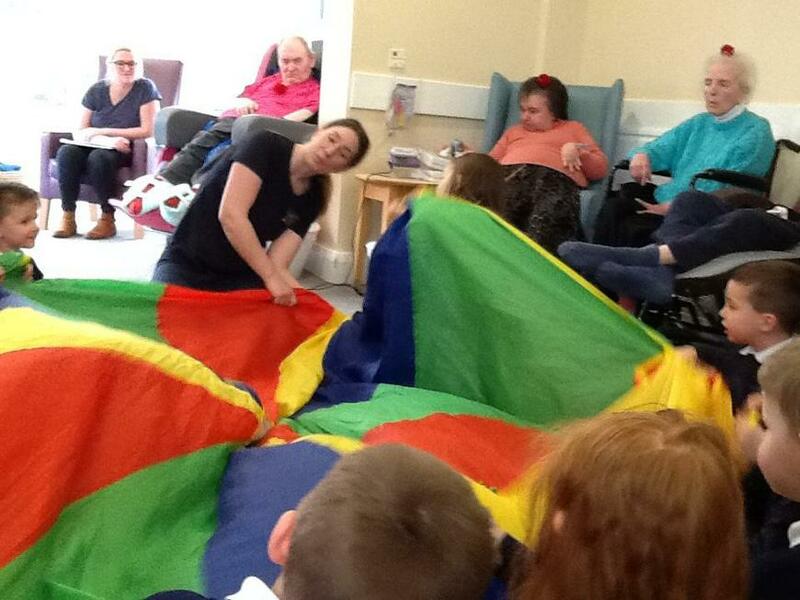 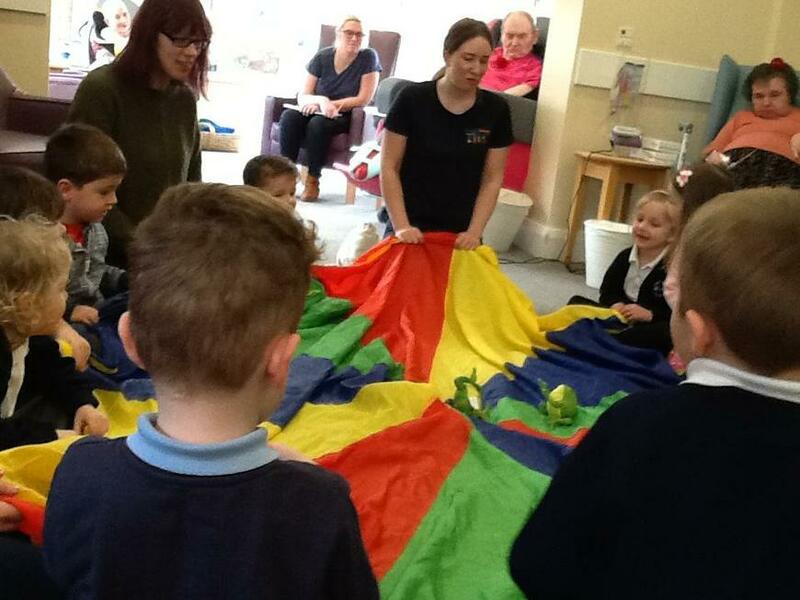 At the session, we loved the parachute games and learnt/signed the story of the ugly duckling.